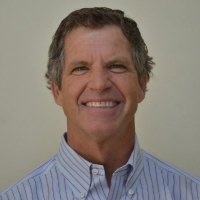 Tom Kelly obtained his BS Degree in Physics from UCSB, and his MSEE Degree from Santa Clara University. He has spent most of his career in Silicon Valley with activities spanning engineering, marketing and sales. Primarily focused on hardware, most recently he has been involved with Big Data Analytics, machine learning, and the associated frameworks. "I have been lucky enough to spend my entire adult life (and much of my childhood) a stone's throw from the Pacific. As such, i have enjoyed the abundant energy the ocean has to offer. I want my children and subsequent generations to enjoy this as well. Yet there is so much more at stake beyond a good surf. We have been selfishly foolish up to this point. It is time to act aggressively to mitigate the damage which will inevitably ensue. Brian and team have the capability to swing the needle. I am quite proud to be a part of this, and continue to maintain optimism for our future."